Članovi udruge LUMEN su zajedno uz još dvadeset mladih predstavnika udruga iz Europske unije proveli tjedan na europskom projektu o komunikaciji i brendingu za neprofitni sektor. Radionica „Monomyths: communication tools for NGOs and start-ups“ rumunjske udruge Monomyths je zajedno sa partnerskim organizacijama bila financirana od strane programa ERASMUS+. Cilj ovih radionica je bio stvoriti plaformu za komunikaciju i diseminaciju resursa kod međunarodnog rada organizacija civilnog sektora. Između 1. i 7. rujna 2016. godine predstavnici 8 europskih udruga civilnog društva iz Poljske, Italije, Cipra, Grčke, Latvije, Estonije, Hrvatske i Rumunjske je kroz metode neformalne edukacije naučilo kako krojiti svoje digitalne priče koje će imati utjecaj na njihovu zajednicu i komunikacijske mehanizme, te su identificirali i naučili nove alate koje mogu koristiti unutar svojih organizacija ili malih tvrtki. Bucharest, 1st September 2016. 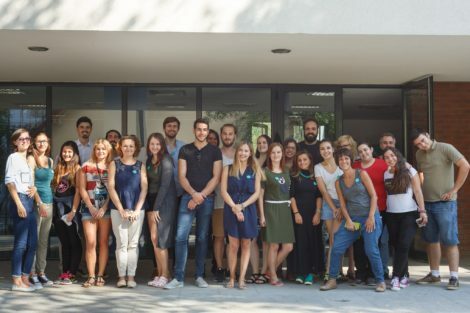 24 European youngsters passionate about communication and branding to experiment for seven days new storytelling tools and techniques adapted to the non-for-profit sector. Monomyths Association workshop is funded by Erasmus + and is part of the “Monomyths: communication tools for NGOs and start-ups” which primarily aims to create a platform of communication and dissemination resources for international not-for-profit organizations. Between 1st and 7th September, representatives of eight not-for-profit organizations from Poland, Italy, Cyprus, Greece, Latvia, Estonia, Croatia and Romania will learn through non-formal education methods to tailor digital stories impacting their community, exchange communication mechanisms and identify new tools that they can use within their NGO’s or when developing their own business. 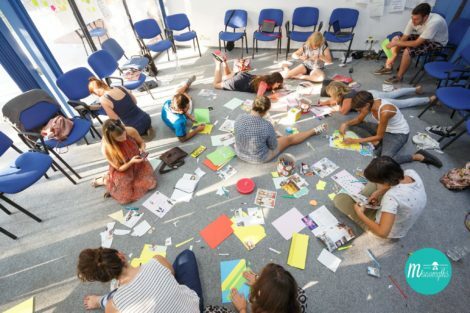 „In 2011, starting from a real need, we shaped in Romania the first international communication project for not-for-profit sector based solely on non-formal education. After 5 years in which the team I work with has guided over 40 European and Romanian NGO’s, we have launched a not-for-profit organization that advises young people working within communications departments of youth organizations or others that run social enterprises projects” said Emilia Radu, president of the Monomyths Association. 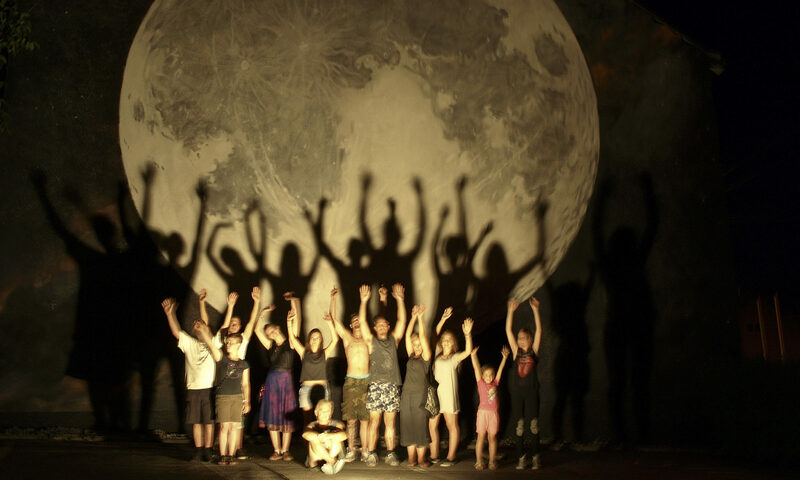 International Storytelling workshop is part of the “Monomyths: communication tools for NGOs and start-ups”, carried out from June 2016 to January 2017. 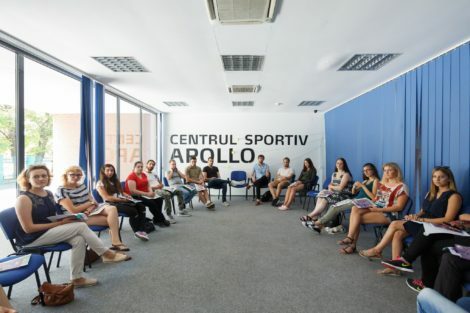 The project’s main objective is to create a European platform connecting communication professionals and provide them with resources, non-formal education methods aimed at developing skills in youth media, digital tools and examples of best practice in this area. 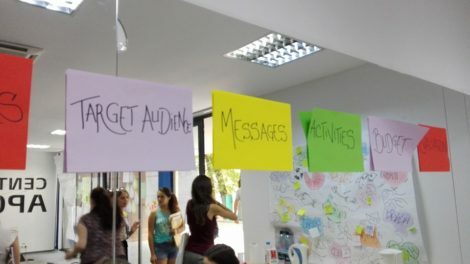 “Often, youth organizations do not have the organizational capacity to work with advertising or public relations agencies to promote their interventions and social projects. For that reason, visibility efforts and activity dissemination have a low impact and do not reach their target audience. The workshop we are implementing is just one of the means by which our team can train new professionals specialized in communication for the not-for-profit sector. Also, in this way we can encourage NGO’s to invest more energy and creativity in their communication campaigns”, Emilia Radu added. The particularity of Monomyths association workshops is that briefs and participant interactions are tailored to meet the needs of partner organizations and develop a positive attitude about storytelling – a bridge between not-for-profit organizations, startup community, donors, partners, active citizens, public institutions and volunteers.